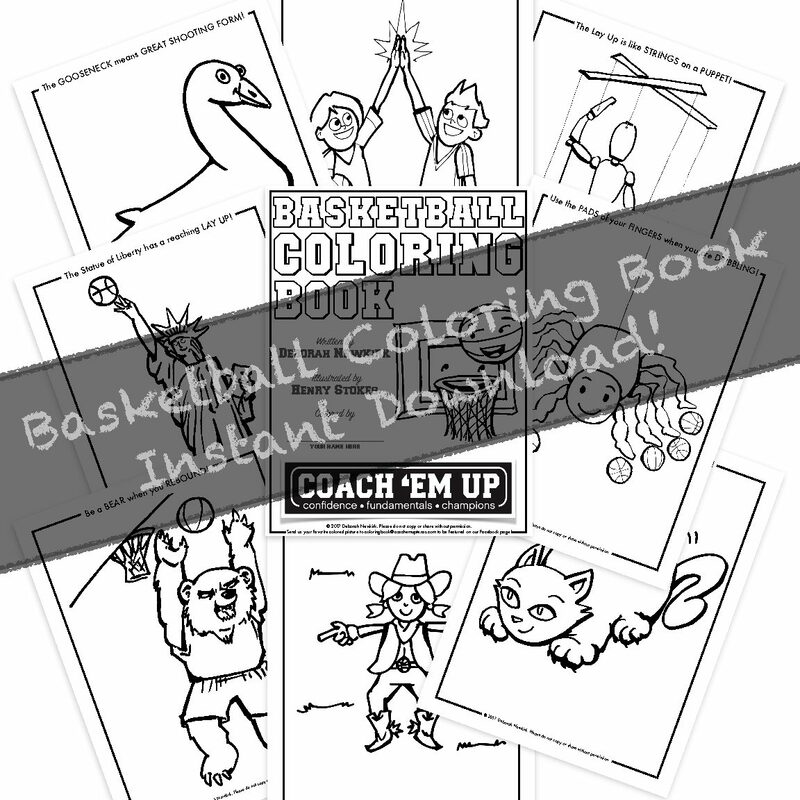 Coach 'Em Up Basketball Coloring Book – Instant Download! 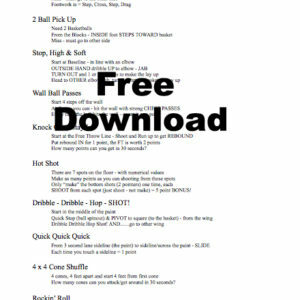 Basketball Coloring Book – Instant Download! 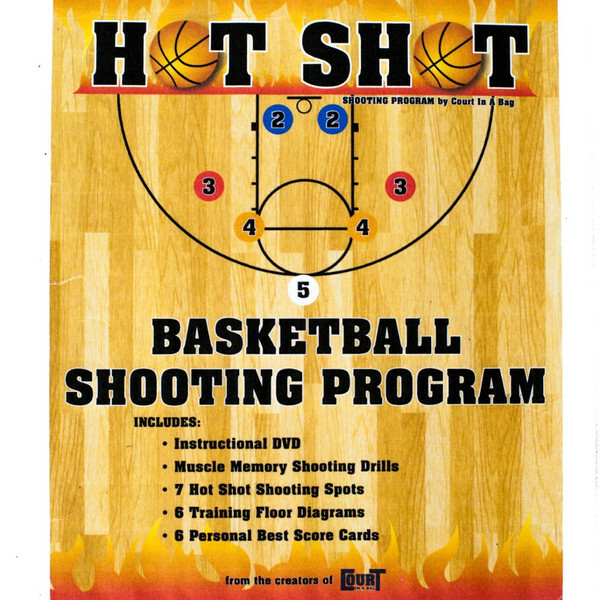 This teachable coloring book is based on the core basketball principles that are taught in every Coach ‘Em Up beginner program. 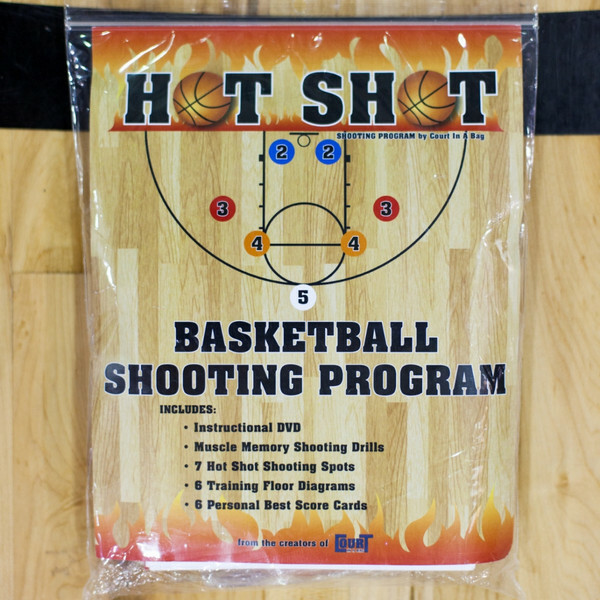 Perfect for the young hoopster as a fun introduction to the language of basketball. 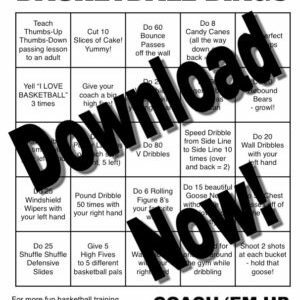 Includes 10 coloring pages, including the cover, so teachers and coaches can save pages by printing back-to-back on 5 sheets. Each page can be printed individually to support a particular lesson or drill, or can be presented as a complete coloring book. With custom, hand-drawn images designed to show correct form, our coloring book is sure to delight and educate. We encourage our young basketball enthusiasts to send us a picture of their favorite page to be featured on our Facebook page! After checkout, a link to download the coloring book will appear. We worked hard on this book and hope you will respect our copyright. We have made it affordable so that it’s easy to share with friends – just send them the link!